I prepare my students so that when the time comes, they are mentally prepared and in the proper mental state to overcome any overwhelming odds. This is done through teaching enlightenment, increasing knowledge in the art and techniques, practicing applications and care for the body, uplifting the spirit and heart, and expanding the imagination. "Dragon Wing Chun Kung Fu School" is the legal registered business name : DBA ( doing business as ), in Tarrant County, Texas, established February 2017, by the owner and sole proprietor James Fell. 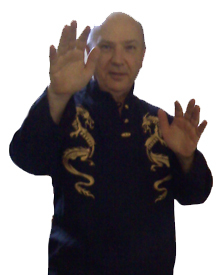 "Dragon Wing Chun" is a registered trademark in the U. S. patent office owned by James Fell. James Fell is a registered self defense and martial arts contractor with the city of Grapevine, is background checked for the city by the Grapevine REC center, and is a certified black belt in Wing Chun Kung Fu with instructor credentials, and is a certified Eskrima Sword Fighting instructor, teaching the Art Of Defense Kung Fu at the Grapevine REC Center since 2010 and Wing Chun Kung Fu since 2015. I enjoy teaching and sharing knowledge, and cultivating the spirit and imagination. The enginering, logic, science, and the Art of Defense, Wing Chun and Chin Na Kung Fu, all types of sword fighting, hand to hand combat, common sense battle tacktics.